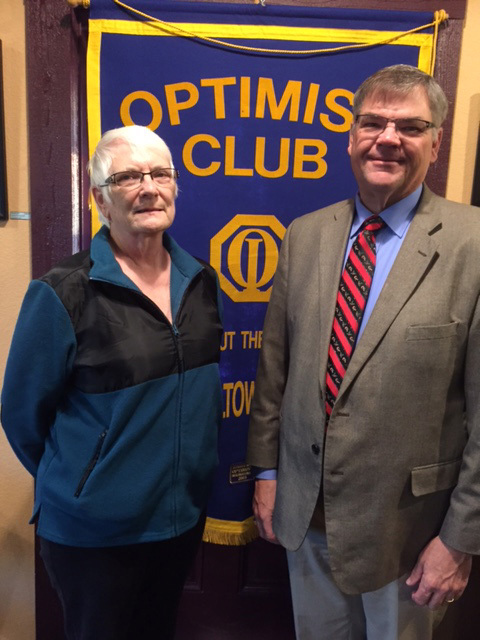 CONTRIBUTED PHOTO Dorothy McHone welcomes Andy Schwandt to a recent meeting of the Marshalltown Morning Optimist Club. 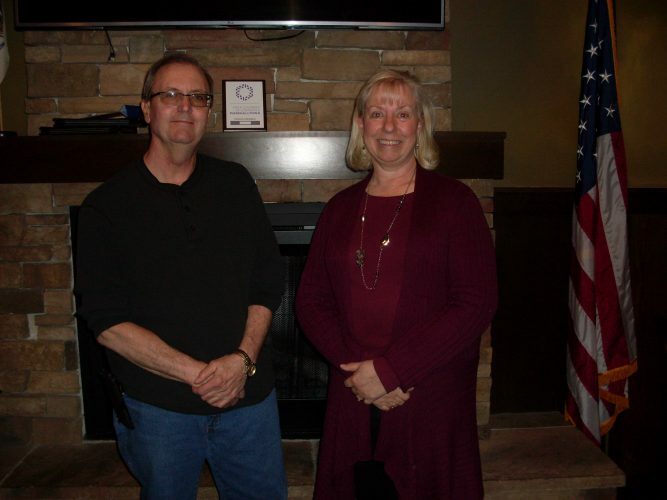 The Marshalltown Morning Optimist Club held its weekly meeting Tuesday at The Brew House. President Linda Moore opened the meeting by leading the Pledge of Allegiance. 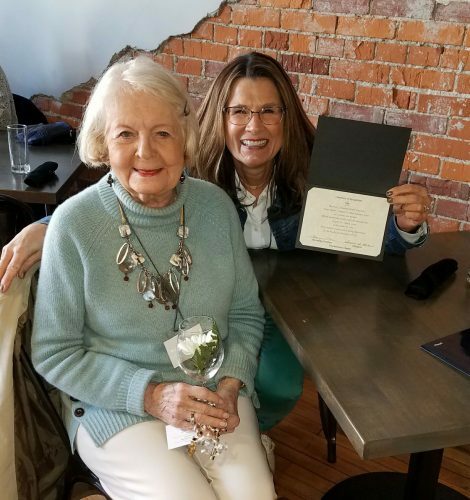 During the business portion of the meeting, Dorothy McHone reported that she will be rewarding students in two classes at Hoglan Elementary School who won the Box Tops for Schools competition, by bringing them edible treats. 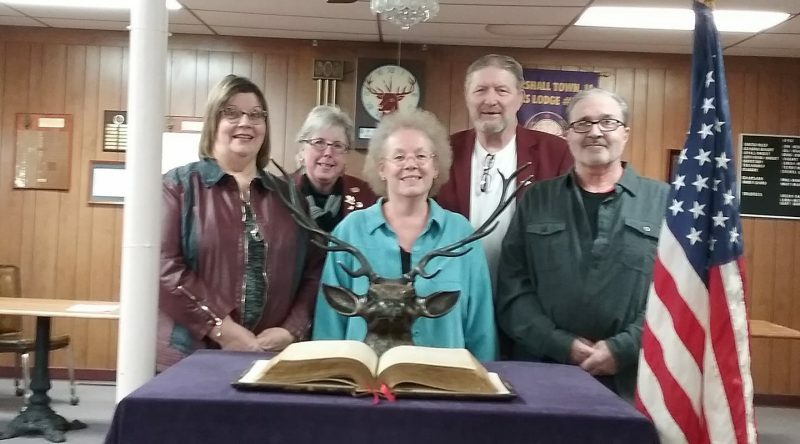 Club members discussed preliminary details for the Citizen of the Year Roast to be celebrated in April, 2017. McHone, November program chair, introduced Andy Schwandt as the guest speaker. Schwandt talked about procedural changes within the Shoes That Fit program, coordinated locally by OnMedia for the past 15 years. Historically, the Shoes That Fit program began 25 years ago in California, based on research showing that children who have comfortable shoes are more ready to learn in school. 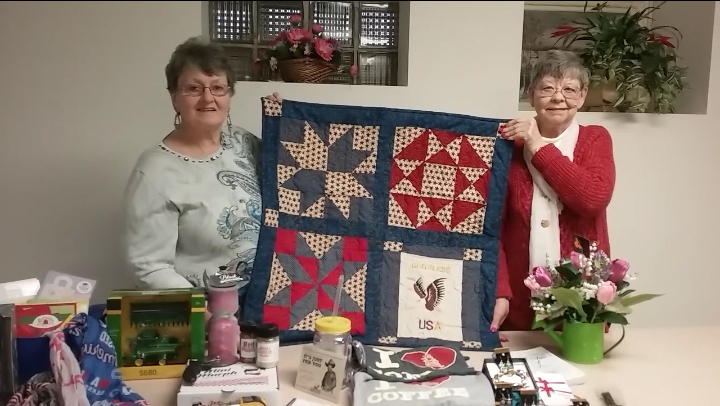 The idea spread and, today, the Des Moines chapter raises more money and purchases more items than any other chapter in the country, according to Schwandt. Locally, OnMedia has served all elementary schools in Marshalltown in the past, providing not only shoes, but coats, snow pants and boots, as well as other clothing items, all distributed in December before the schools’ holiday break. Schwandt reflected that the tasks were becoming overwhelming, and so OnMedia decided to pare down their efforts. Beginning in September, they obtain specific requests from school nurses for specific students who have specific needs. They target only four schools now, and accept requests for only coats, shoes and boots. OnMedia and their Shoes That Fit corporate partners make purchases in October, and get the needed items to the children before the really cold weather sets in. 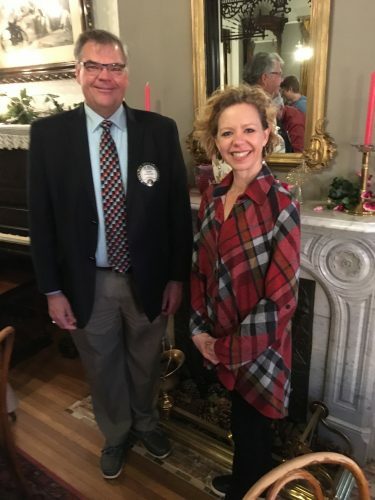 Schwandt thanked the Morning Optimists for their past contributions to the program, and suggested inviting him back next October. Moore closed the meeting by leading the recitation of the Optimist Creed. 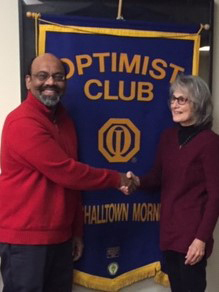 The Marshalltown Morning Optimist Club meets Tuesdays at 6:30 a.m. at The Brew House. Guests are welcome. The club’s website is at www.morningoptimists.org.